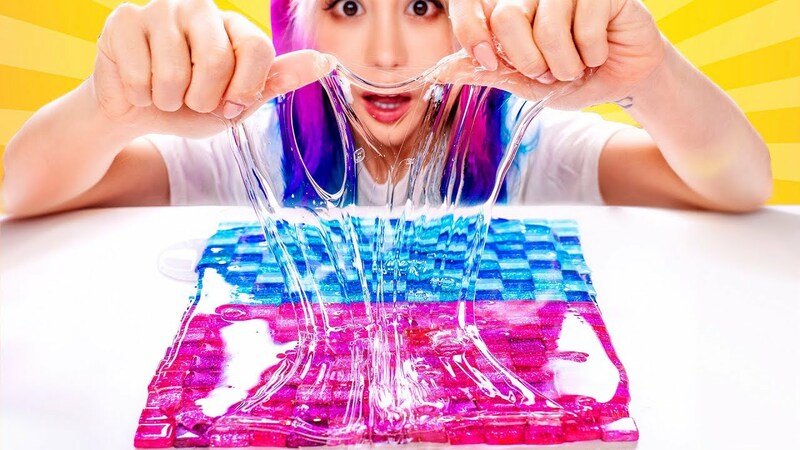 Slime making took the world by storm and is still a popular trend. 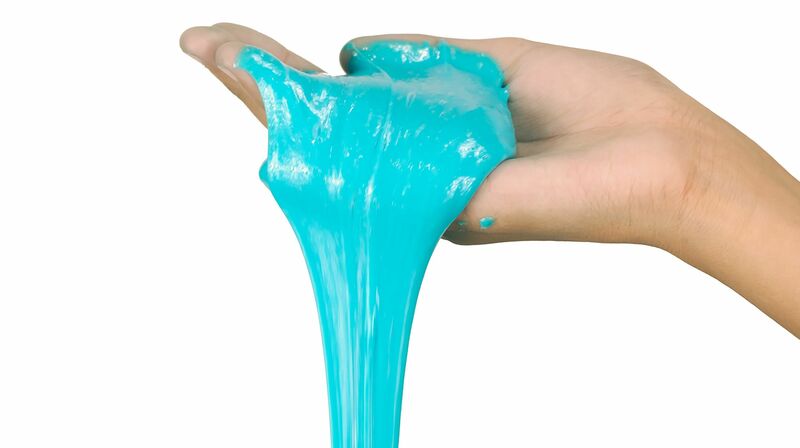 Slime is a thick, gooey, and stretchy liquid substance. It can be easily made using a couple of common ingredients found in the house, and has been a part of fun home projects for a long time now. It’s an addictive project, and new ways of making more interesting looking slime come up every now and then. – Latex gloves because it’s bound to get messy. There’s also a need to protect the skin from some of the ingredients which may be irritating. – Measuring cups to make sure you get the ingredient proportions right. – Disposable cups to use while pre-mixing ingredients. – A large bowl for mixing all of the ingredients together. – Paddle pop sticks to use for mixing. With the above basic items, you can get started on making whatever kind of slime you want. 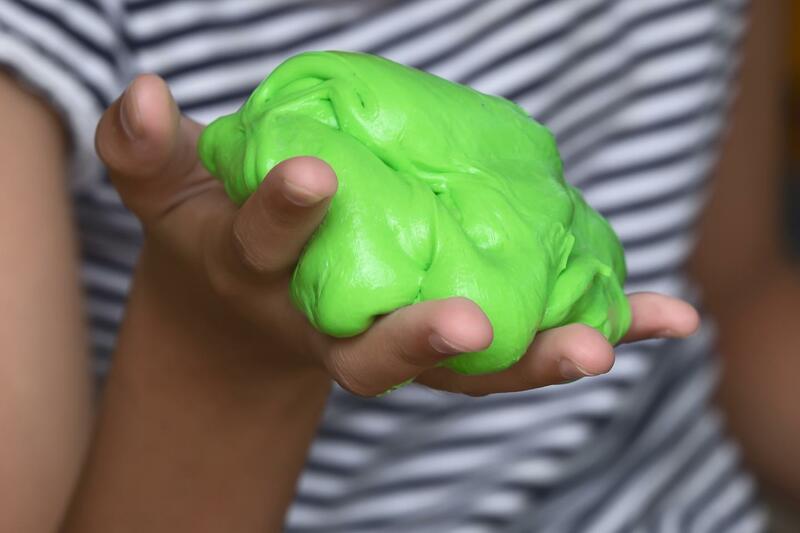 In this article, we’ll go through how to make stretchy slime, super slime, and borax free slime. i) In a disposable cup, mix 45 ml. of water and glue. Mix 1/4 cup of water with borax in a different cup until the borax dissolves completely. ii) Pour the water and glue mix into a large bowl, then add drops of food coloring and glitter. iii) Add the borax mix to the large bowl. It reacts with the glue mix and comes together. Use a paddle pop stick to mix thoroughly for half a minute. iv) Your slime is ready to stretch and blend with your hands. i) In a saucepan over low heat, mix the condensed milk and cornstarch together. ii) Stir the mixture continuously until it thickens to a slime consistency, keeping the heat low. iii) Add a few drops of food coloring. Stir, then allow to cool completely. iv) Store in a sealed plastic bag in the refrigerator. i) Pour ½ cup of the polyvinyl alcohol (PVA) solution into a bowl. Add food coloring if you want colored slime and stir with a paddle stick. ii) Add 2 teaspoons borax into the PVA solution then stir slowly. iii) Test the mixture with your stir stick. Once the slime has formed, it’s ready to play with. iv) Seal it in a plastic bag and keep it in the refrigerator so that it will last longer without drying out. Borax can cause irritation to some people, so for these individuals, the borax-free slime is a better option. It also happens to be the only edible slime on this list, thanks to all of its edible ingredients.